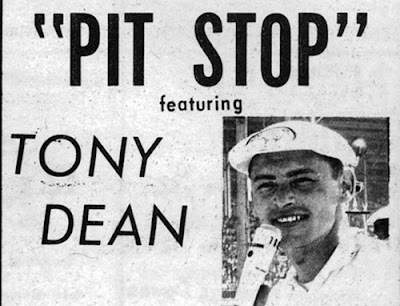 Cedar Rapids, Iowa (October 11, 1965) - Darrell Dake drove his 1962 Ford convertible to another big win last Sunday night at Sterling, Ill. 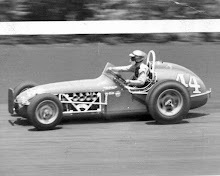 Starting in the 15th position on the third-mile track, Dake worked his way to first place and finished a half-lap ahead of Don Bohlander of Peoria, the Illinois state champion. No question about it…Dake has been almost unbeatable this year. 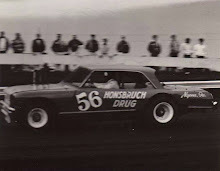 Even Red Droste, who copped the Hawkeye Downs season championship in 1963 and ‘64, couldn’t turn the trick this year. Dake’s plans for 1966 have been rather vague. He sold his 1962 Ford convertible to Jerry Mabie of Cedar Rapids, but hasn’t definitely decided what or where he'll drive in the upcoming season. 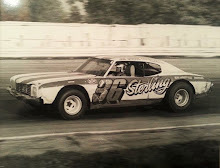 He reportedly was offered a pretty good deal by the local Ford dealer, and its common knowledge that the Ford Motor Company is very interested in seeing him compete on the IMCA late model circuit – even to the extent of providing factory help, I understand. One of the best tracks in Iowa is the quarter-mile high bank at Marshalltown. Its banked 30 degrees on the turns, which means the drivers don't have to back off until they're well into the turn. I announced a recent MARA race on this track, and I was very impressed with the action. It proved once again, that competition is more important than horsepower. 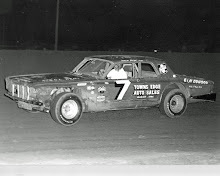 The super stocks were turning the track at 17 to 19 seconds, which compares very favorably with the late model modifieds. I'm sure the late models would get around this track in less than 16 seconds. The nice thing about the super stocks is that they are evenly matched. The races were close and very rugged. It's been a long time since I've seen five cars running abreast through a turn. 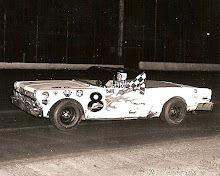 Walt Carney of West Branch bested Merrill Knapp of Atkins in the special 10-lap match race, and received the 1965 Chevrolet pace car for his efforts. Cal Swanson of Reinbeck drove a super modified roadster to a feature win in the last race of the season last Sunday afternoon at Hawkeye Downs. Bob Hilmer of Dysart finished second, with third going to Lee Kunzman of Guttenberg. It was a dusty afternoon on a one-groove track. Ernie Derr has a slight lead over Ramo Stott in IMCA late model racing and may win his sixth IMCA national crown. Ramo may move into the NASCAR ranks for the 1966 season.